Scammers are scattered everywhere and by that, you should do all possible things to identify and avoid them as much as possible. 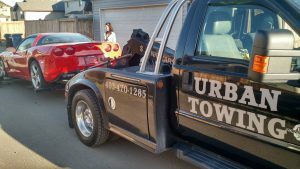 If you don’t want to pay for an overpriced charge for a simple towing service, then there are some factors that you need to keep in mind as it would guide you in determining whether a certain calgary towing service is a scam or legit. It is important to at least know how these scammers work. There are some repair shops that would pay a referral fee to a tow truck driver or most often referred as “chasers”. Recommendation from a driver without being asked is illegal in some municipalities so make sure to watch out for it. In order to recover the said referral fee, the driver will take you into the repair shop and in the end, you are now required as well as the policyholder to pay. It’s really unexpected and you can be easily tricked especially if you do not have any idea about the difference on how a professional tow services works from a scammer. Make sure to watch out his every move and observe his behaviour in order to determine whether he is a scammer or a professional. Always look for the municipal licence number. Professional and licensed driver post a municipal licence number on their trucks as an indication that they are legit and professional tow company. Before you use their service, make sure that you’ve spotted a municipal licence number on their truck otherwise you had been dealing with a scammer. Ask them if they are somewhat associated with a reputable company (e.g. automotive roadside assistance group and automobile association) just to make sure that the tow truck really came from a operational and reputable company. Check if the driver would just suggest you to a particular repair shop without being asked because if he did, it is a sign that a referral fee arrangement is there. You should know that recommendations from a tow truck driver are illegal. When they hand you a paper, carefully and thoroughly read everything that’s written on the paper so you won’t end up paying unexpected rates and charges. If the driver refuses to take your car into a secure location such as Collision Reporting Centre or police station where you can gain access from your insurance company, then immediately neglect him for he could be a scammer. You have to talk with your insurance company first about the repair shop that your car would be delivered to. There are some instances that they would let you choose a certain repair shop where you wanted it to get fixed but there are also some instances that the insurance company associated with a certain repair shop in which they can guarantee to provide excellent performance. Keep everything clear about between you and the insurance company’s agreement so you know exactly what to do once the tow truck driver arrives. Today, Chemical Engineers have been very intelligent and very creative with how they create our synthetic hair and beauty supplies and products. That’s a good thing because that shows how advanced today’s generation is and how intelligently people have experimented with what the environment has given us. Somehow, amidst all the advancements, many have been victimized by failed hair and beauty supplies. Many have had dermatological problems, infections, deformed faces, and many more. Synthetic materials and products will forever impose a threat even after it has been tested for several times. With that, starting 2010, many have advocated the use of organic hair and beauty supplies. There are many reasons that organic hair and beauty products. Below are the four top reasons why people should shift from synthetic hair and beauty products to the organic ones. First reason would be the main reason why we should do the shift. Organics help people avoid skin irritations and infections. Organic products are more or less natural. They are like the bottled version of the actual plants. They might not have the 1-week magic effect on your skin or hair but they will absolutely give you better reflection or softer hair given the good amount of time with no harm done to your hair or skin. Having the 1-week magic effect of many synthetic problems is useless if you are also compromising your hair or skin by destroying them with all the synthetic elements. Second reason is that organics are Earth-friendly. Synthetic products, when disposed, can have a negative effect to the disposed area. Some chemicals are harmful to the soil or to the plants, thus the dumping areas will bear the consequences. Third reason is, organics are cheaper! They are cheaper not because you can buy them in a cheaper price but because organic hair and beauty products can be hand-made. Yes! You heard that right! You can be your own Chemical Engineer! You can just get the extract of your Papaya plant outside of your house, experiment on it and create a soap out of it! 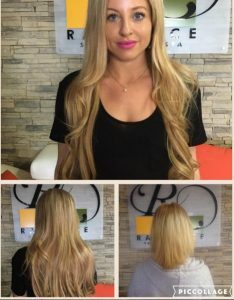 Many people are doing that today and that had given them the chance to not just maintain their very own hair and beauty products with lesser expenses but also the chance to create a business out of it. Fourth reason would be a funny reason. Organic products are friendly to your nose unlike the synthetic ones that produce bad odor, organics contain natural fragrances that can be used for aromatherapy. Given those four reasons, it would make sense that you would not say no to organic products starting today. It is of no doubt that organic hair and beauty supplies do not have side effects, are earth-friendly, are cheaper, and are very beneficial for your body organs. With those benefits, is it not confusing why people always prefer the synthetic ones? Well yes, that is a fact that doesn’t make sense. Perhaps they are not informed with the benefits of the organics. As for you, you have already been informed. With that, shift to organics now! Search engine optimization is one of the greatest discoveries in the millennium. Since then, internet has bloomed into a necessity, searching is a more different thing now. It is more convenient and easy for everyone. This creates a lot of opportunity to every business as venturing into online marketing which is less hassle for them. Advertising is a process used even before by big companies in which they pay someone to bring their brands and air it on television and radio stations. It would be a struggle before in reaching people until billboards came and until then marketing continue to evolve over time. 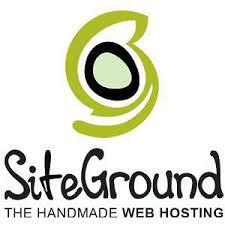 Search engine optimization great big things not only for those big company owners but also for small business owners. Advertisement on radio and television still continuing but there are only few people who can afford the expenses of doing it. calgary SEO doesn’t cost that much therefore any starting business can hire someone to manage their website to get the highest ranking at any search engines. Page ranking is very important for everyone who wants to be successful through online marketing. We know that even SEO is not stable. It continues to evolve and improve. That is why we should observe the market and the SEO success factors to deliver the needs of our clients. Over the years, there are so many changes happened in SEO which you should glance every time to be updated. There are tools which become obsolete and revisions come out like a shooting star. They come and go. In 2015, they have discovered additional elements that SEO may use. Vertical Search should be considered as an important success in optimization. It often gives a pull on the result, which helps and gives a weight on rating. Search engines now-a-days provide its direct answers upon typing a keyword on the search bar. Being selected as the direct answer can lead to pulling more traffics to the web in which it gives a web a higher chance to be visited by potential customers and visitors. An HTTP added on the URL of webs would be an explicit of securing ranking boost in the past years. They already revise the point systems in the criteria of SEO. Mobile search were making one of the big hits as more of internet users use their mobile phones for surfing the web. There is a need to optimize for mobile search because of the average number of users of mobile phones and continue to evolve overtime. There is a need to boost mobile-friendly sites in the coming years. Keywords are very important in SEO. Prioritize your strategy in SEO by reviewing difficult scores related to keywords in the Rank Tracker. This could help you to refine the strategy you are using in choosing the right keywords for optimization. As an SEO, you need to see all factors that would affect your clients’ ranking. Considering that you know what is happening around online, being vigilant in the changes happening in SEO could help you to manage your clients’ expectations. You can use all mediums to be able to make it on top of every search engine. Marketing gurus, advertising geniuses and public relations professionals are constantly thinking up ways to improve your sales performance. They should be that’s their job, but oftentimes they get caught up thinking about the brand and not the audience. PR guys watch the industry trends to see if they can a mention in some high profile publication. Advertisers look for ways to get your brand in front of more people while spending less money. Finally marketers are busy trying to build sales funnels for the sales team to close. However none of them are really putting themselves into the shoes of a customer. There is a human being at the end of your sales campaign. Are they stopping to understand what that human being wants, what keeps them up at night? You need to get inside the head of your target customer and find out what he thinks and how he feels. This is the guy buying your products and services. Wouldn’t your marketing efforts be more efficient if you knew what makes him tick? One of the hardest things for business owners to accept is that not everyone is your customer. Not even Walmart markets to everyone, so you shouldn’t try to either. What you do need to do is define your ideal customer. Define who they are, where they live, what they do, where they hang out and most importantly why they want to buy your product. Stop thinking about sales numbers for a minute and think about what would make your customers feel better. Be the customer for a moment and figure out what you’d buy your product, what would drive you to purchase it. Marketing doesn’t come with a degree in psychology…though maybe it should, but a marketer understand buying decisions are based on feelings and not logic. Here is a video explaining how buying decisions really work. If you look at the success of content based marketing, people want information based promotional material. As a marketer you need to study just how searches are being done on search engines this helps you get inside your potential buyers. Understand exactly what their tastes and preferences are so you can meet that demand. People have become sick to death of brands coming to them with pleas to buy their product. People are inundated with traditional advertising everywhere, at the offices and in their homes. 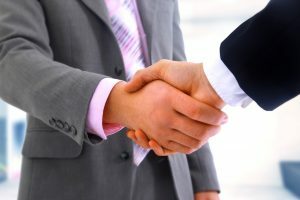 If you want to build a better connection between your customers and your brand then humanize your marketing efforts. 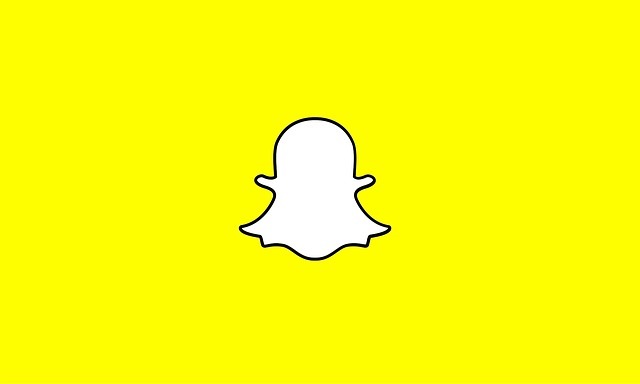 Is Snapchat Part of Your Social Strategy? If you’re digital marketing agency isn’t using Snapchat as part of their social media strategy you need to seriously question why. Snapchat growth has exploded over the past couple of years and shows no signs of slowing down anytime soon. You don’t want to be late to that party. The app has more than a 100 million daily users and over 4 billion video views a day…that’s as many as Facebook. If your business in any way targets millennials then you need to be there. Using the mobile app you can send a 10 second video clip or image to friends, family or your fans that will disappear once they have viewed it never to be seen again. There is a text messaging service that allows you to add a clip to the story, which you can set to be available for 24 hours. You can use “Discover” to stay up to date with your favorite news channel or check celebrity gossip on Cosmo. Couldn’t get tickets to Wimbledon, well you could have caught up through “live stories”. Live stories is probably one of the most powerful social media tools on the market, the potential to see world changing events from people on the ground when you can’t be there is huge. 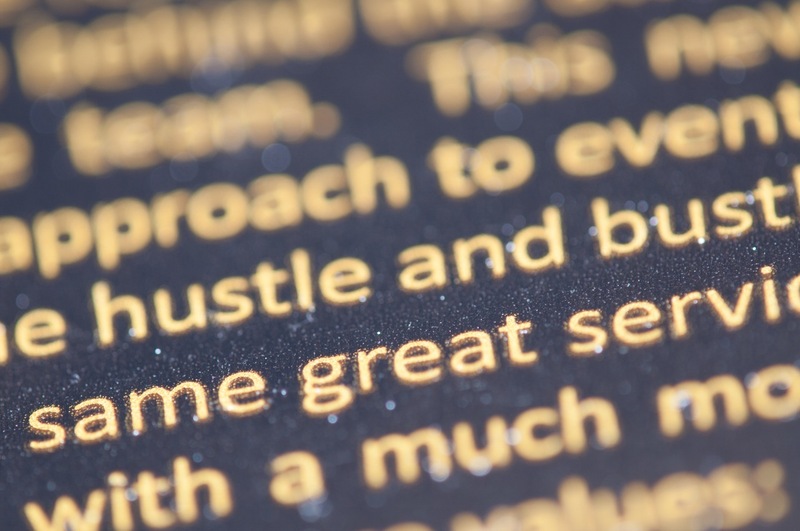 All of these are things a clever marketer can use to leverage your brand. 86% of Snapchat users are between 13-34, and that’s the millennial market at your fingertips. Most of them share content across multiple social networks. There are plenty of ways that your company can take advantage of Snapchat but you have to work within the confines of the app. Snapchat was built to ensure that the content was short and engaging, and users have the choice of whether they want to engage or not. That’s a good thing, it means that when they do engage in your content they truly see your ads. Promos & Offers – You can use Snapchat to send your fans special offers or discounts that they can screenshot to use later, either in store or online. Use the Tease feature – You have a 10 second window to grab the interest of users. You can show exclusive, behind the scenes content or unveil something new. This is buzz marketing at its most basic. Tell Your Story – You can use this for longer content that you can show fans over a 24hr period. This is a favorite tool of celebrities to engage with their fans, and it has been incredible successful.